COSTA RICA NEWS – A group of Costa Rican business and community leaders were prevented by the Nicaraguan army to navigate the San Juan river. The incident occurred Thursday morning around 9:30am, when the group of Ticos were travelling by motorboat to Chorreras de Cutris, in San Carlos, to investigate an agrotourism project in the that area. The Nicaraguan soldiers demanded the group present work permits, documents that none were carrying or had ever been a requirement in the past. The affected were six members of the Board of Directors of Cooperativa Agrícola y Turística (Coopeagrotur), headquartered in Boca Tapada. Travelling in the motorboat were also three advisers, one of whom is a regidor (alderman) of the San Carlos City Council. “I feel bad, because Nicaragua is not respecting the free navigation by Costa Ricans of the border river…”, added Vargas. The Ministry of Foreign Affairs said it would investigate to determine future actions. Officials of Costa Rica’s Dirección de Inteligencia y Seguridad (DIS) on Friday interviewed several of the affected. Vargas said that she hopes to get an audience with President Luis Guillermo Solís. The San Juan river, which clearly belongs to Nicaragua, however, in a 2009 ruling by the International Court of Justice (ICJ) 2009, confirmed the rights of navigation by Costa Rica of the San Juan River, based on the Cañas-Jerez Treaty of 1858. 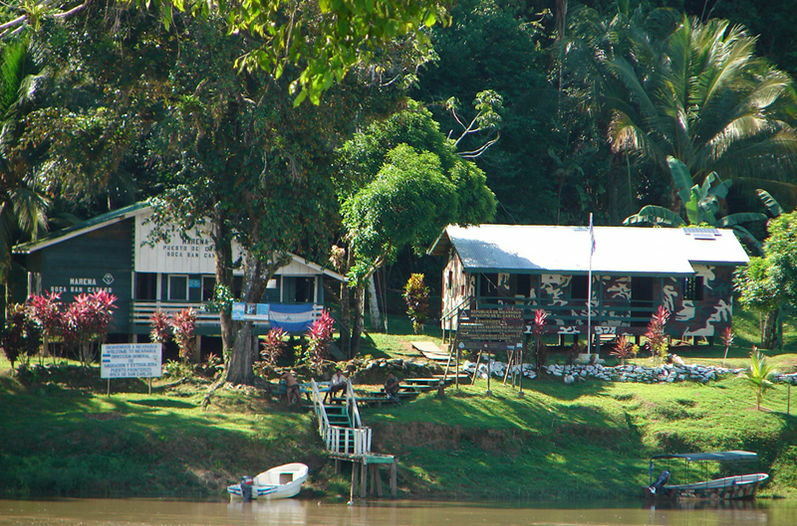 The ICJ decision prohibits Costa Rica’s police from navigating the river carrying weapons.